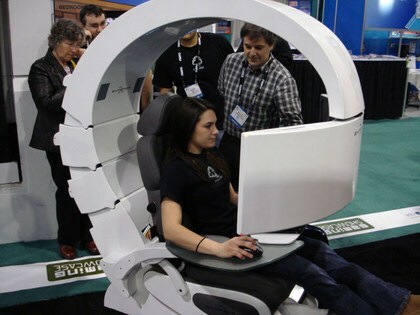 NovelQuest Enterprises Inc. ( NQ ) was found in 2005 and based in Quebec City, Canada. 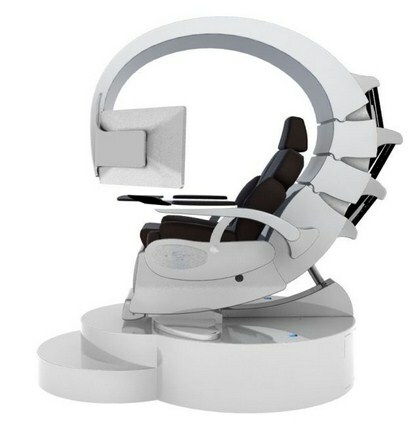 NQ designs, manufactures and markets highly innovative and exclusive product for individuals, corporations, marketing companies, event and trade show organizers. 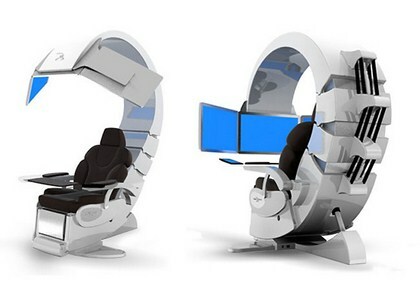 One of such innovative product is the stunning looking computer workstation - Emperor 200. 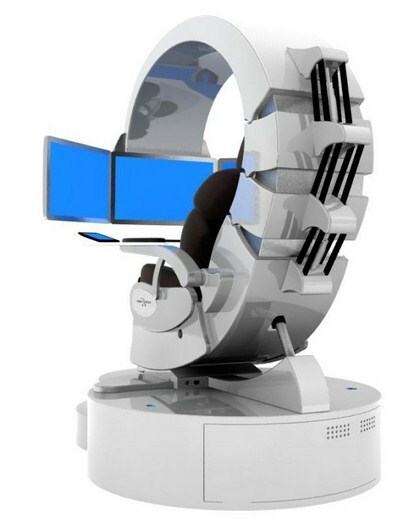 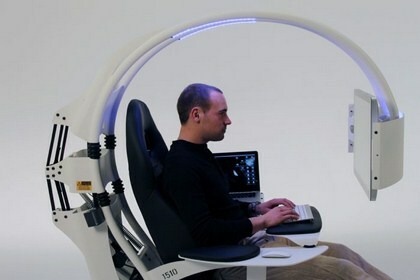 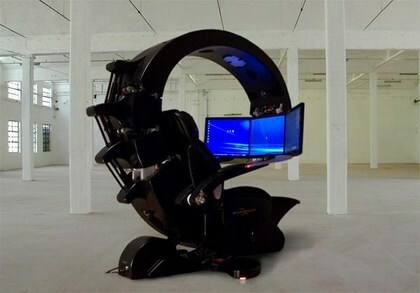 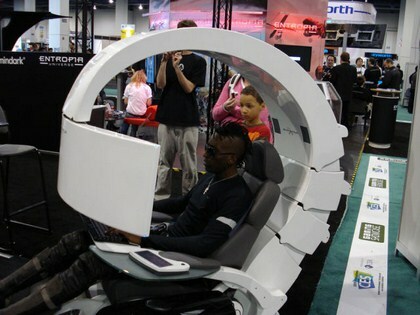 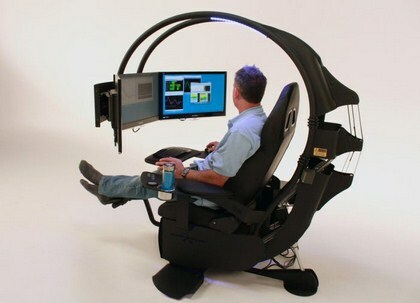 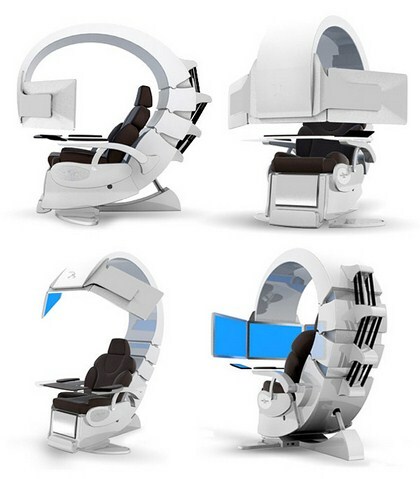 It is a futuristic looking computer workstation offers as many as three LED computer screens, an air filtering system, electric powered leather seat, touch screen control and a wicked sound system. 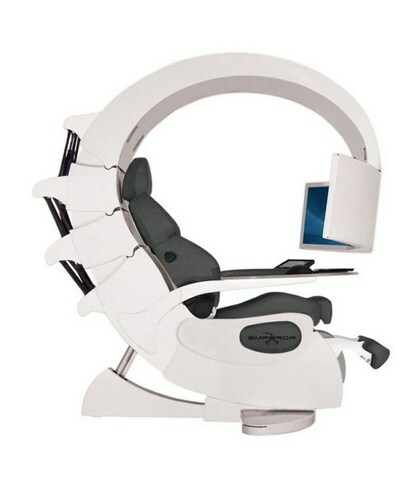 The unity can be built to your specifications for a cool $49,150. 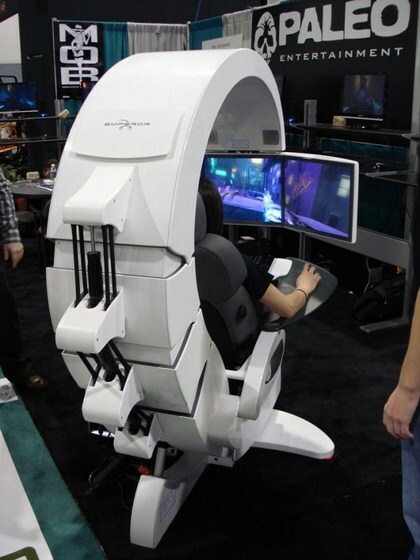 The Emperor 200 gaming station sports three screens in a similar style to its cheaper brother the Emperor 1510, but on the Emperor 200 each 24″ inch screen support multi-touch and are motorised making it even easier for you to adjust them into the perfect position.